Represented Central Ward from 2011. 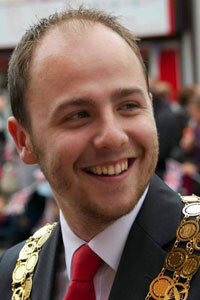 At 21 he was joint youngest Mayor in the UK and took a year's break from studying to be a Primary School Teacher at the University of Cumbria in order to carry out his duties. Assistant Organist at Westhoughton Parish Church. Member of Bolton Wildlife Committee and Westhoughton Town Council Diamond Jubilee Committee. Proposed and designed the service around the new statue of a miner in Ditchfield Gardens to commemorate the Pretoria Pit Disaster of 1910. Welcomed the Olympic Torch into Westhoughton and greeted the Torch Bearer on 31 May 2012. During his year of office was appointed as the first Patron of the charity, Lagan's Foundation, and a school governor at St Bartholomew's Primary School, Westhoughton. His partner, Ms Amy Longmore, was Mayoress. 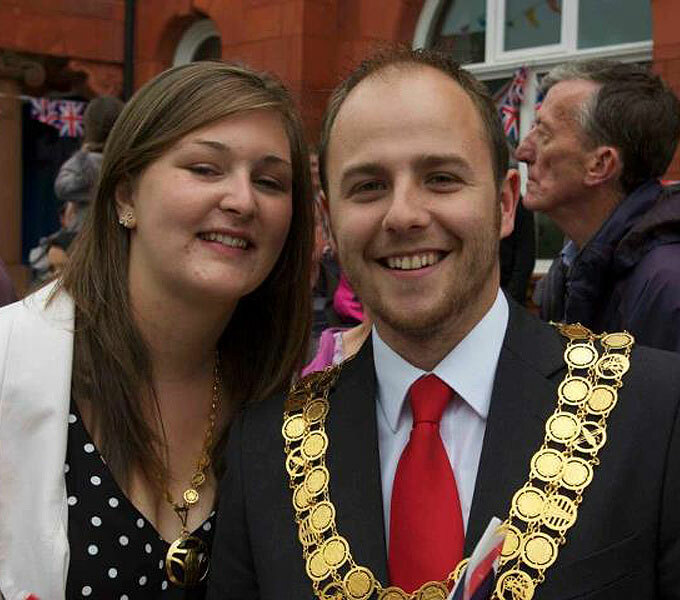 Ryan Battersby and Amy Longmore as Mayor and Mayoress of Westhoughton. 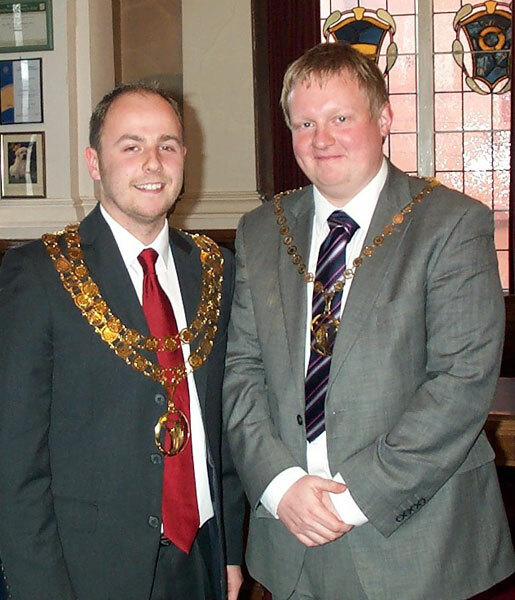 Ryan Battersby and Christopher Peacock as Mayor and Deputy Mayor of Westhoughton.